Traffic accidents happen all the time, so the transportation of dangerous goods is under the watchful control of public authorities. This allows to minimize the number of transport accidents. Cargo should carried in specially equipped containers or tanks that will provide safety on the road. Mechanic should check vehicle before every shipment. 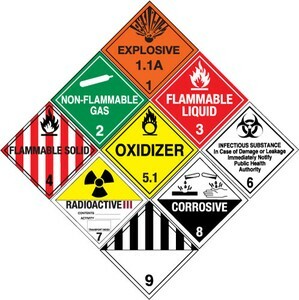 Vehicles adapted for the carriage of dangerous goods must be equipped with an operable brake gear, fire extinguishers, and system for comfortable work and rest. Firstly, the car owner or the transport company must get a license. The Ministry of Transport issue this document. Validity of the license is unlimited. Licenses are issue to private entrepreneurs and enterprises. License card is issue on each vehicle. Copy of the accident insurance for drivers. Cargo carriage - what kind of business is it?